People tend to have great ideas that keeps buzzing around their mind but for some certain barriers such as finding sufficient funds or a great team, keeps them away from shaping their idea into something very fruitful. So if you have an idea, do not let that idea just blow away because Rock The Post, a business social network, is here to help you out with their amazing interactive platform to bring your ideas into shape and possible for anyone to ask for business funding. So how does Rock The Post work ? Your ‘ideas’ when posted there will be called ‘post’ which can be anything starting from collecting money for a charity, making a new software, forming a small company etc. 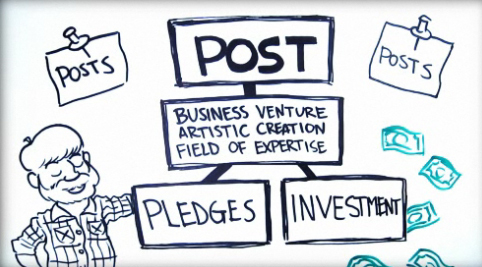 These posts or ideas can be of two types : Pledges and Investment. Say for example, you have a great plan on the table to make nutritious food for the needy kids in the developing country. You post your idea and then likeminded individuals could help you by providing money to make your idea a success. If you need a helping hand ,pledging for time, another person might take his time to provide you help by giving tips on how to implement the idea and keep up with the great cause. If you want to pledge for materials/resources,there would be some people out there who might be interested in providing nutritious food on their own to help you out to donate. Let’s have a different example now. You are planning out with your friend to form a company that would provide designing logos, t shirts, brochures etc. If your plan attracts the investors, they would gladly give you money to carry out your plan giving you a boost of confidence. Moreover,if your post wants investors for time, you might attract other experience graphic designers who would love to give their time on your project. Lastly, your post might want a software to be created, it would then fall under the category of ‘investors for materials’. A person would then create it in exchange for either the revenue or any other accepted methods. Rock the post can be a great platform not only for individuals but also a perfect place for those non profit organizations who would be wanting donations to carry out their cause, finding funding for business for a startup company, entrepreneurs searching for talented individuals, students seeking out help in certain subjects and anything that can be productive. 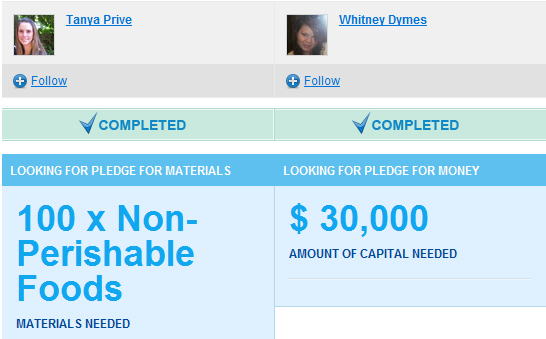 In simple terms, a place for crowd funding and crowd sourcing. Most of us might think that RTP might be just a place for funding business startup but it’s more than that. It’s a place where new bonds can be created and also a place to start something that would be of great success in the future! So if your mind is stuffed with new ideas, you might want to share one of those to see what type of output you might get. You never know, the idea that you have in your mind right now might be the start of something big ! Besten Dank für diesen wirklich sehr erbaulichen Beitrag. Great post Michale, i like your idea. Keep it up! This sounds like a pretty like a pretty good idea. Great post. Good to see fellow blog engagers. Thanks Michael! 🙂 Do try it out!